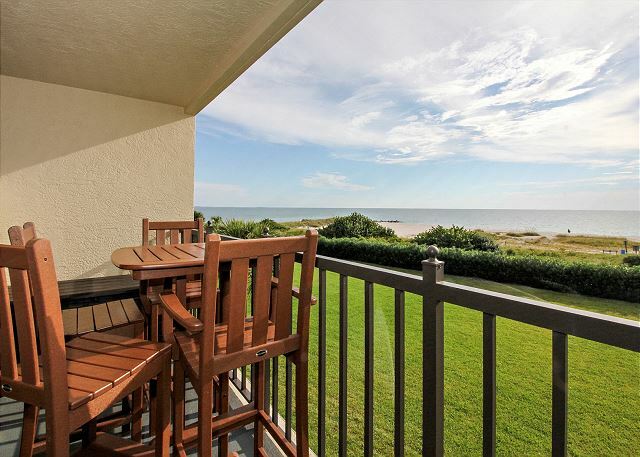 Experience spectacular views of the Gulf of Mexico while relaxing on the private balcony of this completely remodeled condo. The light and bright décor coupled with the beautiful flooring throughout creates the perfect “home away from home” setting. The spacious living area has plenty of room to gather with friends and family. Care to dine in for the night? The state of the art, fully equipped kitchen with stunning granite counter tops will make cooking a breeze. Other amenities include a washer and dryer, flat screen TV’s in the living room as well as both bedrooms and wireless internet service. Beautifully renovated condo. Wonderful showers and bath renovations. The sunsets from the 3rd floor balcony were stunning. So glad to hear you enjoyed this updated, beachfront condo at Land's End, it really is a lovely condo! :-) Thank you for being our guest and we hope to see you back for more sunsets over the Gulf soon!!! The apartment itself was lovely, with a fabulous view over the gulf. However there were a few additional items that the apartment could have been equipped with such as a kettle, clothes drying rack etc and the dishwasher needs maintenance. The Lands End complex itself is in a lovely location but I would suggest is suited to to couples rather than families. There are multiple rules in and around the pool area, some rightly so but some seemed a little excessive. Both our children and us felt as though they were not able to be children due to the rules and extremely quiet nature of the pool area, so we spent most of our time on the beach. Thank you for this feedback, we will be sure to share it with the owners as well as the Land's End association. We are sorry if their pool rules were too excessive for you, it really is just for everyone's safety and enjoyment but we do apologize if you felt uncomfortable at all with them. 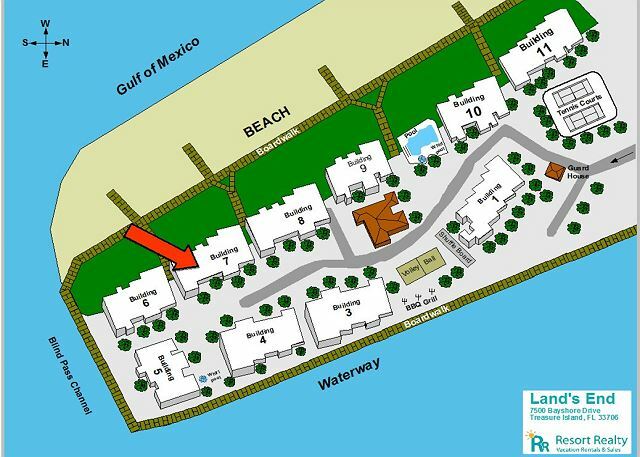 We are glad you enjoyed this updated condo and the beach and we hope to see you back for another visit to our area. Beautifully decorated and maintained unit, with exceptional views and sunsets. So glad you enjoyed this premier condo in our program at Land's End, the owners really did a lovely job with the updates and we are glad you liked it!! :-) Thank you for being our guest and we hope to see you for more sunsets in Treasure Island!! We had an outstanding experience. Unit 7-306 was very comfortable and had an excellent gulf view. Renting through the Resort Rentals was very easy and check in was smooth. The pictures and descriptions of the unit were very accurate and there were loads of supplies in the kitchen. Beds and furniture were very comfortable in this updated condo. Outstanding is awesome to hear!!!! :-) We are so glad you enjoyed this premier condo in our inventory and we hope you will visit it again!!! Thanks so much for this feedback. We are sorry if the balcony furnishings were not what was comfortable for you but are glad to see that everything else in this premier condo were to your liking! Thank you for being our guest at Land's End and we look forward to having you back for another visit! Beautiful condo. Very tastefully decorated. Top of the line. Only problems were leaky faucet in bath and the hot water was scalding. Other than that gorgeous condo. 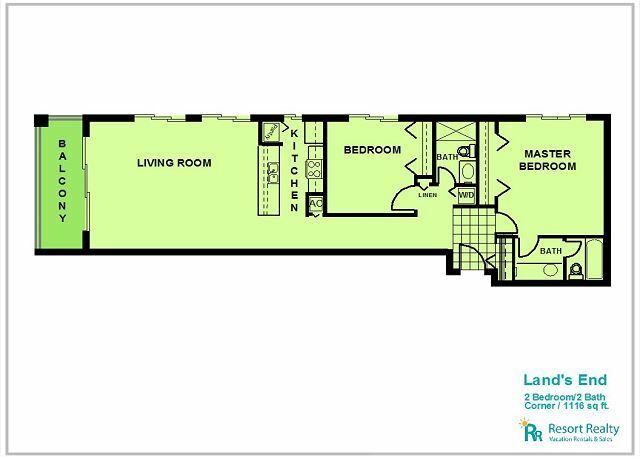 We are so glad you enjoyed this premier condo at Land's End! We do apologize for the maintenance items that you have listed here and we did send our staff out to take a look at things, thank you for letting us know. Please do not hesitate to call us at our office to let us know about these items and we will have them addressed for you. We want you to be totally comfortable during your stay! Thank you for being our guest and we look forward your next visit to Lands End. 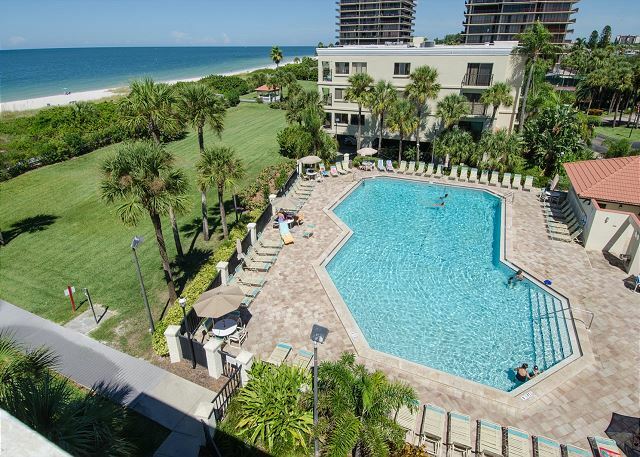 Really nice unit with great beach view. One of the nicer unit you will find on the property. Only complaint would be king bed not very comfortable and AC did not flow well into master bedroom. Overall though, great stay. We are so glad you enjoyed this premier condo at Land's End, the owners really did a lovely job with the updates! :-) We do understand that everyone's preferences in regards to bedding comfort does vary; but we will be sure to pass along this feedback for the owners review and knowledge, thank you for that! Thank you for being our guest, we enjoyed having you and hope to see you back at Land's End for another beach vacation soon! The unit is in great condition and recently renovated. Thank you for this post! We are glad to hear that you enjoyed this premier condo at Land's End! :-) Thank you for choosing to stay with us and we look forward to your next visit!! Quiet location with lots to do! The place was beautiful, the view was fantastic and the experience was exactly what we were looking for on this vacation. Our unit was clearly recently renovated within the last couple of years with modern finishes and was like a home away from home. It was both clean and comfortable. 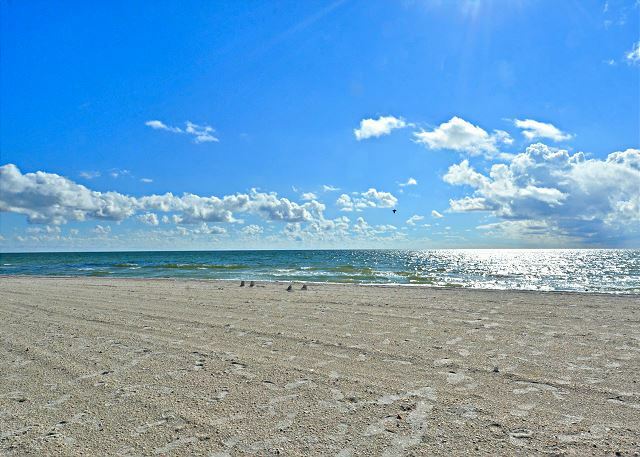 The location is unbeatable if you want to be on the beach. It was like walking into your backyard and as it's on the end of the island there's no through traffic. We didn't even make use of the pool and clubhouse as we had great weather and spent everyday on the beach (did I mention that it was like in the backyard). As this was our first time in the area, Gail in the office gave us great suggestions on dining and activities in the area that were spot on. Thank you so much for your post! We always love to hear from our guests that are visiting for the first time and how much they enjoyed their stay!! This condo that you stayed in falls into our premier category of condos so yes, it was recently updated and the owners did a lovely job!! 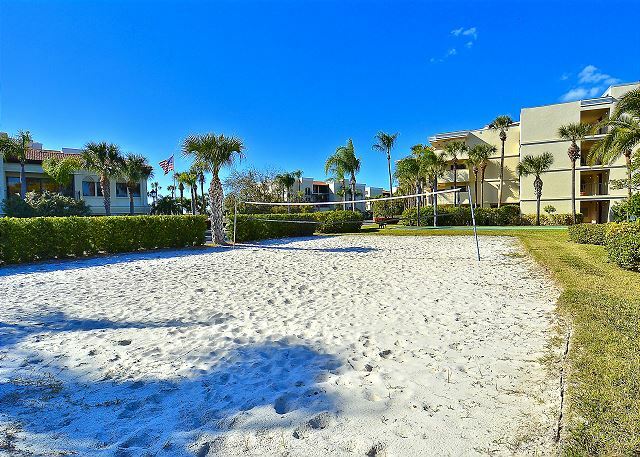 Land's End is the perfect location and it really is like having the beach in your backyard! 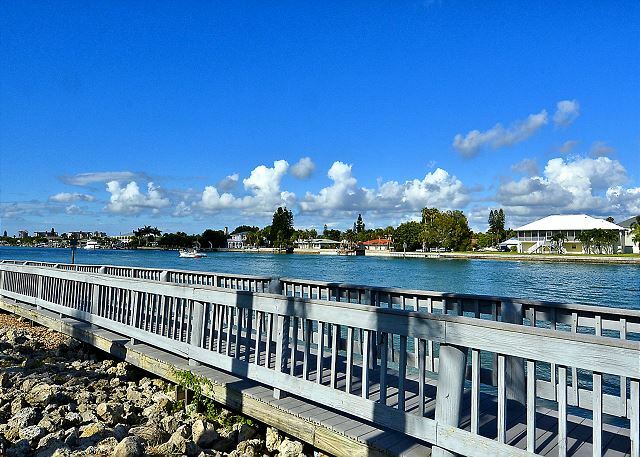 Since the property is at the end of an island and is gated, it truly is "secluded" yet in close proximity (with a car) to get to all that you need. Gail is our gem in the office and we are so glad she was able to assist you with our local area attractions, she is just AWESOME!! Thank you again for your feedback and for being our guest and we hope to have you back in our backyard again soon!! We love staying at Land's End - and our condo this year was beautiful! It would be nice to know when there is construction going on when you book reservations - as the two condos next door were being renovated, so some noise. The only suggestion I have for our condo this year is to have a crock pot, a few more pots/pans and a better coffee maker, other than that, the condo is perfect. We enjoyed our week and will be back next year! The rental unit was exactly as shown. View was wonderful. The beds were very comfortable and everything was redone. 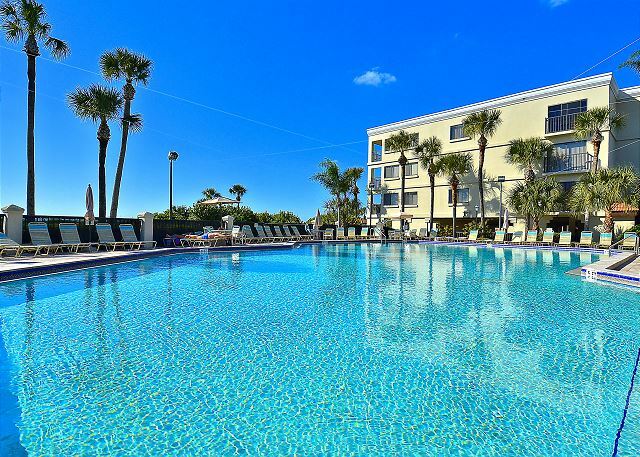 The complex was clean and well maintained, pool was large, warm and clean. We enjoyed walking on the boardwalk. Beach was quiet and great for families. The rental agency was excellent and very helpful. we stayed in a beautiful condo at LANDS END,7-306.The unit has had a recent make over and done tastefully.the LAND'S END facility is maintained in impeccably good shape, you would think it was built in the last few years.clean inside and out. I've been going there for 7 years now and it still feels new. 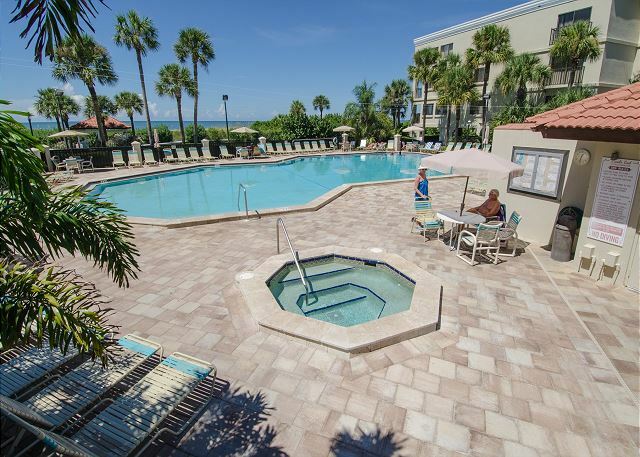 it has a large pool(bigger than most pools for a condo) and plenty of sunning area, and if that's not enough, you can walk about 50 steps to the gulf of mexico and relax on an almost secluded beach.This place will not let you down, and if you do have any problems RESORTS RENTALS is there to help. (my wife forgot her hair drier and RESORTS RENTALS provided her with one)nice of them. the area features great restaurants,just ask around and you'll get a list of great places to eat. so come visit and relax,eat,tan and i promise you won't want to leave.. p.s. I've recommended this place to my family and friends. Everything about this condo was NEW! The design was elegant yet comfortable and the colors used were calming. Since all the appliances were new, there was a bit of a learning curve on how to operate them. Everything I needed in the kitchen was available. The beds and pillows were good as well. BUT!!! The VIEW!!! Every moment of every day I could just look outside the balcony windows and see and hear the Gulf waves. The staff at the condo clubhouse was helpful in every way. I did not use the pool, but the hot tub by building 5 was just the right temperature. I always had a parking spot right in front of my building. I hope that I can return to this SAME condo in the future! The unit itself was beautiful and looked to be newly remodeled. The property was nestled in a private and secluded area that seemed very safe and family friendly.